I’ve had anxiety forever and I rely on a combination of healthy eating, exercise, therapy, and supplements to manage it. Luckily, I’ve been able to manage it pretty well for the last few years and it does seem to be getting easier to manage. These are some of the supplements I have used to manage my anxiety. I’m not a nutritionist or a Doctor, if you’re interested in taking supplements or if you’re suffering from anxiety you should talk to a Doctor. For information about studies that have been done about vitamins for anxiety, you can read this article. I have a ton of other articles about managing anxiety you can check out here. are my favorite vitamins to take and I always can tell a difference when I take them regularly. The benefits include alleviating anxiety, depression, PMS, relieving headaches and better memory. Studies have shown a deficiency in B vitamins can cause anxiety so if you’re suffering from anxiety you could have a vitamin B deficiency. I had a vitamin B deficiency before and getting it fixed really helped my mental health. Your doctor can take tests to see if you have a vitamin B deficiency or any other deficiencies. 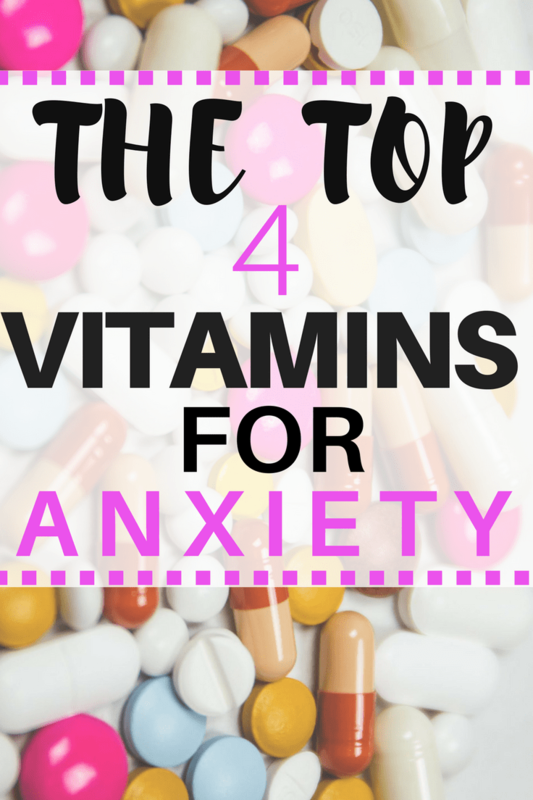 If you’re interested in learning more about B vitamins and anxiety check out this article. If you think you might have a vitamin B deficiency you should talk to a Doctor and see if they can run tests to find out. I take a vitamin B Complex that has a combination of a bunch of different B vitamins but your Doctor will be able to help you figure out the best thing for you to take. Calcium and magnesium are used for stress relief and help support the nervous center. Calcium has a natural tranquilizing effect and can help ease symptoms of anxiety. Here is an article with more information about calcium and magnesium. If you’re taking calcium you need to a make sure you have adequate vitamin B levels because a B-6 deficiency will make it difficult for your body to absorb the calcium. Studies have shown that magnesium deficiency is widespread. If you drink a lot of caffeine you could have a deficiency because magnesium levels are partially controlled by the kidneys but caffeine can cause your body to release the magnesium instead of keeping some of it. A magnesium deficiency can also cause muscle cramps, fibromyalgia, anxiety and difficulty sleeping. If you want to start taking calcium and magnesium talk to your Doctor. to try and keep myself from getting sick. In addition to immune boosting, vitamin C can also help alleviate symptoms of depression and anxiety. That’s a double win in my book. You can read more about a study involving anxiety and vitamin C here. I like to take it in a chewable form because for some reason I have a hard time swallowing the big vitamin C pills. Nonmental health benefits of vitamin C include preventing skin wrinkles, protection against heart disease and preventing eye diseases. Vitamin C is easy to get through food if you eat a lot of fruits and vegetables every day but if you don’t eat a lot of vegetables you might want to try taking a vitamin C supplement. I used to take these supplements every day but now I only use them if I am starting to feel anxious or if I’m under a lot of stress. I’m a big fan of drinking this lavender tea at night to help me sleep after taking a lavender-scented bath. I also always keep chamomile on hand to drink in tea if I’m having an anxious day. When I’m traveling or flying I use Rescue Remedy to help me manage my anxiety. If you’re interested in reading more about herbal supplements for anxiety check out form the Mayo Clinic. I also use aromatherapy and essential oils in addition to drinking herbal teas. 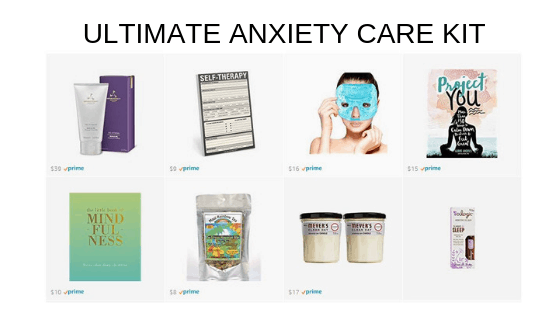 You can find all of my recommendations in my ultimate anxiety care kit. Vitamins are just one option for treating anxiety. If your anxiety is causing you a lot of difficulty in your life I urge you to try different treatments until you find something that will give you some relief. There are tons of different ways to treat anxiety but here are some of the treatment options you can try. In addition to taking vitamins, I have also given up supplements that I know make anxiety worse. For me, that is caffeine and sugar. When my anxiety is bad I stay far away from sugar and caffeine because I know both of them will make my anxiety symptoms worse. I immediately give up sugary drinks and switch to drinking tons of water and I give up caffeine if I feel like my anxiety is starting to get difficult to manage. Coffee has been shown to trigger anxiety and even panic attacks in people that are struggling with anxiety. Sugar has been shown to make anxiety symptoms worse and can increase your risk of developing depression. Those are enough reasons for me to try and minimize it in my diet. If you’re looking for a way to manage your anxiety naturally I suggest that you try cutting out sugar and caffeine in addition to trying out vitamins. Taking vitamins for anxiety has really helped me manage my anxiety and I hope it will help you too. These are only a few of the supplements you could take so be sure to talk to your Doctor to get more information about supplements you could take. I’ve even my Doctor test all my levels and to make a plan of supplements to address the deficiencies I had. If you’re feeling bad do something about it. Don’t just accept it and suffer in silence. If you’re interested in reading more about anxiety you can find my other articles here. I also suffer from anxiety. A friend told me about holy basil that can also help. Have you heard of it and have you ever tried it? I feel it does help but as you say everyone is different. Thank you for posting this, it makes sense now why I always feel better when I take supplemental vitamins. Have you ever researched or considered an Omega 3 vitamin or fish oil pill? 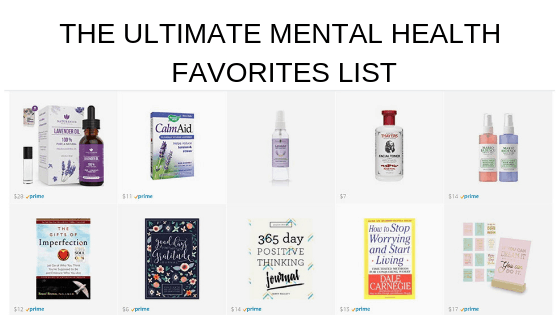 They help with aniexty, depression. Overall mood booster and helps with memory as well! I suffered from anxiety for a few years and after having a blood tests I was diagnosed with Iron deficiency Anaemia,caused by very heavy periods.After taking Iron supplements 3 times a day I noticed a difference within 2 weeks.I also learnt some simple breathing exercises to cope with my anxiety.After 2 months I no longer have anxiety issues like I did,but my Dr didn’t seem to equate very low Iron levels led to my anxiety. For some reason, if I take B Complex it puts my anxiety through the roof. I can take B6 or B12 with no issues but not B Complex.